Evergreen Beauty College Wants You! Find confidence in your decision to be a Beautician! Discover the details of what you can learn, how you can acquire the skills and where you will get the support you need to be successful in completing your program and starting your career. Click on the Request Information button and receive information on the state board preparation, preparation for employment, unique programs and opportunities for Evergreen students and the skills you can learn. Our goal is to produce the most respected graduates in the industry. How? By providing cutting edge technical training, coupled with business and professional development, our graduates will be empowered and have the competitive edge to compete not with only other recent graduates entering the field, but people that have been in the industry 4 and 5 years. Learn more. 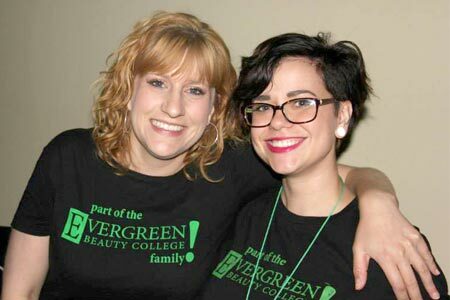 Evergreen Beauty College has campuses in Everett, Shoreline, Mount Vernon, Yakima, and Renton. For location maps, driving directions, and contact information, see our Contact Us page.